PPP Executive Secretary Zulfikar Mustapha has been granted leave by the Caribbean Court of Justice (CCJ) to challenge the decision of the Guyana Court of Appeal upholding the appointment of retired judge James Patterson as Chairman of the Guyana Elections Commission (GECOM). 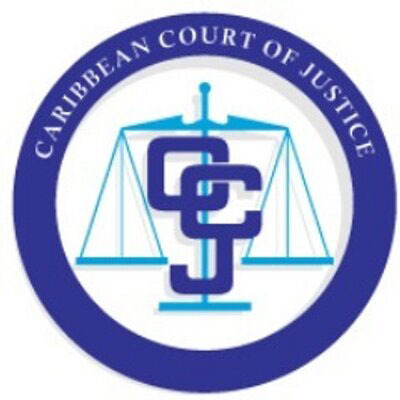 The Trinidad-based court of last resort for Guyana has granted leave in accordance with Section 6(c) of the CCJ Act. As a result, Mustapha/the appellant, has been ordered by the Registrar of Guyana’s Supreme Court to lodge the sum of $759,000 as security for costs within the next 90 days and within that same period to satisfy the requirements of Rule 10.6 (2) (b) of the amended CCJ Rules. Those rules stipulate that a list of the documents which he proposes should be included in his record of appeal and provided to the proper officer. Attorney Anil Nandlall, who is representing Mustapha, has advanced among the grounds in his notice of motion that the Guyana Court of Appeal incorrectly construed, misconstrued, incorrectly applied and misapplied Article 161 of the constitution and failed to redress the breach of the said constitution by the state. Handing down its ruling last month, the local appellate court upheld the legality of President David Granger’s unilateral appointment of Justice Patterson as Chairman of the GECOM, saying that he did not act unreasonably in doing so. The court disagreed with arguments advanced by Mustapha that President Granger’s resort to the constitutional proviso in Article 161 (2) for the unilateral appointment of Patterson was unlawfully invoked and resultantly dismissed his appeal to a previous ruling of acting Chief Justice Roxane George SC. Nandlall is contending, among other things, that Guyana has a history of fraudulent elections and for which the constitution was unanimously amended to specifically eschew the unilateral appointment by the President of a chairman and to involve the leader of the opposition in the appointment equation. In his affidavit supporting his application to the CCJ, the appellant said that the issues which have arisen in the case are of great general, public and constitutional importance, in as much as they concern the appointment of the chairman of GECOM which he says is the exclusive constitutional authority responsible for administering and presiding over Local Government, Regional, and National Elections.